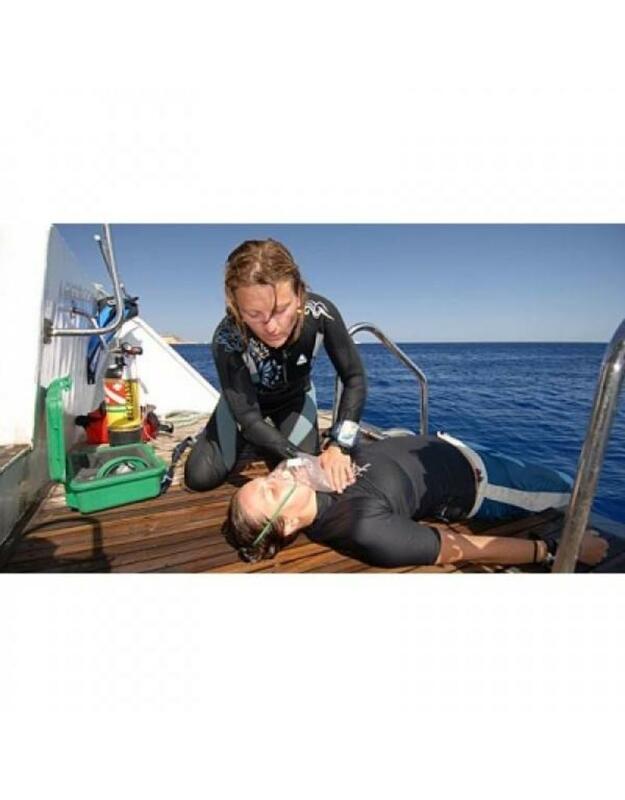 The course, Emergency Oxygen Provider of PADI, is an education aimed at training people in recognizing possible water-related injuries and to provide first aid with oxygen while waiting for the ambulance and / or organizing transport to the nearest hospital. You do not need a resuscitation or first aid course to follow this course. This means that the course is also suitable for those who are in close proximity to the crew - the crew, non-diving buddies, lifeguards and staff who stay on the sidelines. Become even more versatile and combine the Emergency Oxygen Provider with the Emergency First Response course (first aid) where you learn everything about resuscitation and first aid for accidents. Number of dives: For the PADI Specialty Emergency Oxygen Provider we don't dive! The PADI Specialty Emergency Oxygen Provider can be followed at our diving school in Vinkeveen and Almere 7 days a week between 09:00 and 23:00 h. Call or email us directly to record your date or book directly online and we will contact you. to make an appointment when it suits you! Diving equipment: During the PADI Specialty Emergency Oxygen Provider course you use Your own diving equipment or You can rent the necessary diving equipment with us!